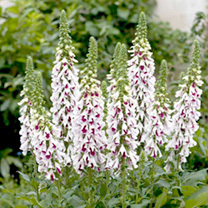 Spikes of large, neatly arranged, creamy-white flowers with burgundy blotches, and unusually cut lower petals that give the plants an open, airy feel. Up to five flower stems per plant. Attractive to beneficial insects. Sow early for flowers the same year. 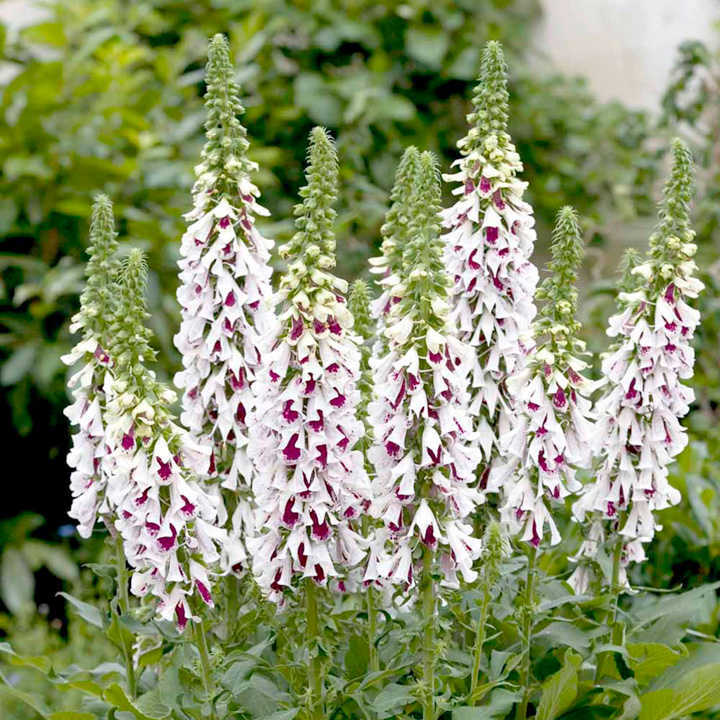 A favourite for herbaceous borders and woodlands in early summer. They prefer dappled shade. Please note: seeds/plants toxic if eaten. Flowers June-August. Height 120-140cm (4-4½’). HB - Hardy biennial.